The WD, War Department, Book / Journal is a WWII British Reproduction box that contains blank pages for your use. The WD, War Department, Book / Journal is a WWII British Reproduction box that has a faux light brown leather cover and contains blank pages for your use. 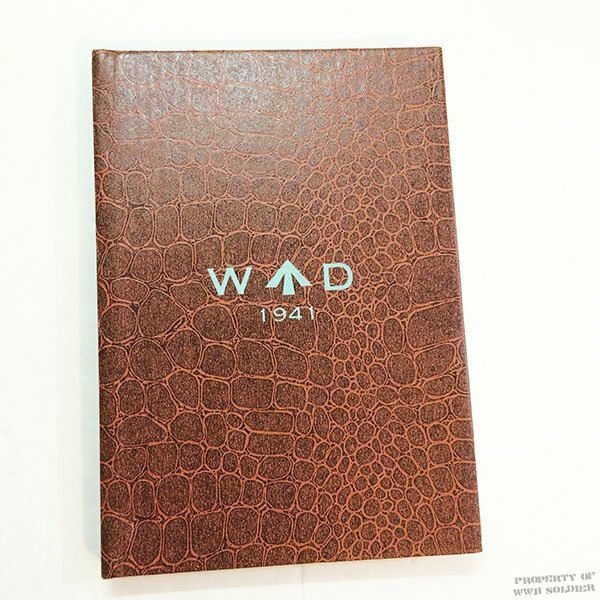 The WD Book / Journal has a Broad Arrow on the cover and a date of 1941. The War Department Book is of Museum Quality and is ideal for Movies, Theatre and Reenactments. The book is approximately 7 inches tall by 5 inches wide.